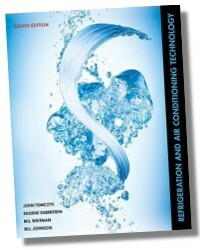 This set of five DVDs effectively presents the superior hands-on information contained in the 5th Edition of Refrigeration and Air Conditioning Technology for successful maintenance and troubleshooting of today's complex heating, air conditioning, and refrigeration systems. Intended for use as a supplement to classroom lessons, these DVDs include theory-related topics and practical, step-by-step skill that combine to provide an invaluable resource. All aspects of HVAC-R industry are covered, from basic heat theory and the pressure enthalpy chart to the laws of physics that govern the behavior of solids, liquids, and gases. Special safety considerations are addressed throughout with dedicated coverage highlighting personal safety and dress, equipment and tool safety, and the governmental agencies that help ensure safety on the job. A favorable blend of theory, diagnostics, and repair procedures makes this DVD set a fitting complement to basic HVAC-R education, as well as upgrading and certification training for technicians in the field. typical operating conditions, troubleshooting, system installation, and required maintenance information to keep these systems up and running round out the comprehensive coverage. Eugene Silberstein, a member of ASHRAE and RSES, graduated with dual bachelor’s degrees from CCNY in New York City, New York. He has been involved in all aspects of the HVAC/R industry from field technician and system designer to company owner, teacher, administrator, consultant and author. 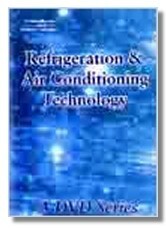 Mr. Silberstein was an instructor at Apex Technical School in New York City, where he taught classes on basic, domestic and commercial refrigeration, basic electricity and major home appliances, commercial air conditioning and advanced air conditioning topics. He later went on to become the chairman of the refrigeration department and the educational supervisor of that institution. In addition to teaching at the post-secondary level, Mr. Silberstein has taught air conditioning, heating and plumbing at the high school level at Nassau BOCES in Westbury, New York. 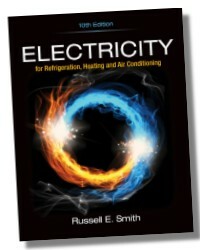 His technical credits include authoring Heat Pumps, providing technical reviews and writing educational supplements for Refrigeration and Air Conditioning Technology, 4th and 5th Editions, writing production scripts for educational videos accompanying Electricity for Refrigeration, Heating and Air Conditioning, 6th Edition and Refrigeration and Air Conditioning Technology, 5th Edition, writing computerized test banks and lecture slides for Johnson Controls’ Building Environments: HVAC Systems, among others. Mr. Silberstein is also a consulting engineer and contributor to the HOTLINE column in the HVAC industry’s Refrigeration News. He also sat on the committee that drafted the standards on which this book is based. Mr. Silberstein is currently writing other industry related books including Blueprint Reading for Electricians and is presently directing and teaching a new A.A.S. degree program in HVAC/R at Suffolk County Community College in Brentwood, New York.